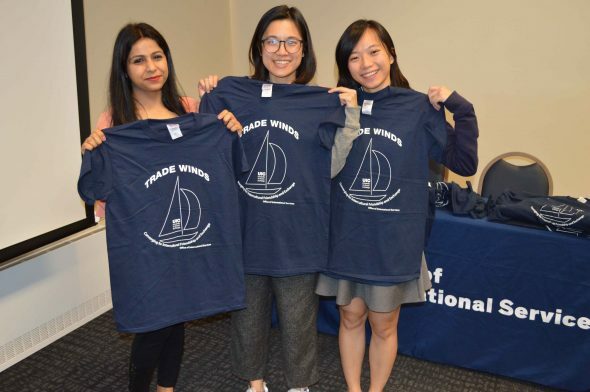 Applications for the spring 2019 cohort of Trade Winds are currently being accepted through Jan. 28. Trade Winds is an intercultural friendship program organized by the Office of International Services. The aim is to bring international students and U.S. students studying at UIC together in social contexts outside the classroom. Students are organized into small groups and provided opportunities throughout the semester to interact and educate each other about their cultures, countries, perspectives, and life experiences. Visit the OIS website to learn more about the program and to view past activities. The Trade Winds experience is ideal for students who would like to develop intercultural competence skills. If you are interested in studying, living or working abroad, Trade Winds is for you! Apply today! The Office of International Services is a unit within the Office of the Vice Provost for Global Engagement. OIS’ mission is to support the international dimensions of the University of Illinois at Chicago and the medical branches in Peoria and Rockford. Questions or comments can be directed to OIS at ois@uic.edu or 312-996-3121.